Whether you’re remodeling, preparing for a special occasion, or moving; knowing installation times for custom window treatments makes planning so much easier. We want to make purchasing window coverings as quick and easy as possible while helping you plan ahead. From the first phone call to the last day of installation, it starts with managing expectations and communicating your timelines is key. In this blog; we want you think about your project, how you’re going to beautify your home, and how long it is going to take. Don’t worry, it’s a lot quicker than you think! First of all, when do you want your window treatments installed? If it’s next year, we’ve got some time to kill. If it’s in two months, we better get started! There are numerous factors that come into play with installation times for custom window treatments, some of which are out of your control. However, there is a ton you can control for a quicker installation time. Knowing exactly what product, style, material, or color you want before your design consultation is going to make a world of difference in your timeline. 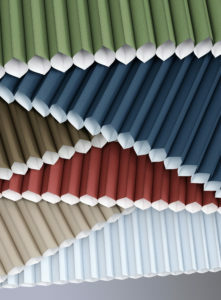 Consider the different materials and accessories you can add to really personalize your window coverings. Tip – Navigate through our products gallery and get inspiration about how you’re going to design your gorgeous home. You can even use your smartphone now to control motorized window treatments. The more you come prepared for our consultation, the quicker we can order exactly what you want, and the sooner your dream window coverings are installed. These timelines are an average based on previous orders and research. Shipment times are defined by the day they were ordered until the day they are delivered. Please give us 1-2 days to process the delivery and allow for us to schedule an installation. Physically installing the window coverings can also take 1-2 days depending on the size of the project. Oh yeah, you read that right. You can get blinds or roller shades professionally installed in your home in a month or less. Think about it. You could call us right now, schedule a consultation in the next 2 business days and get your blinds or room darkening shades in a month. 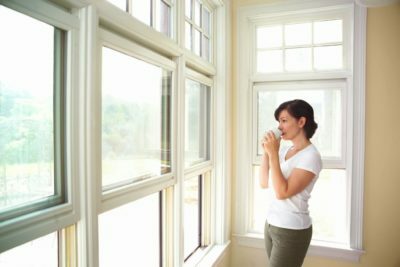 You looked through our past projects and decided you wanted to design window treatments completely unique to your style. Well guess what? We can have your one-of-a-kind draperies or top treatments crafted in around a month! Not too bad for a full custom job that you can proudly say you designed and inspired by your creativity. Custom measured, high quality window shutters take quite a bit longer than other products, but great things take time. 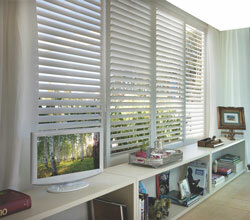 Materials and customization are factors that bring shutter installation times closer to the 10 week mark. 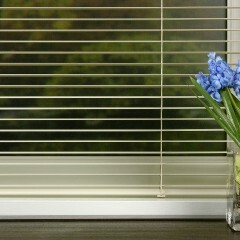 With crisp clean shutters, patience is a virtue! But hey, at least now you know. Shade your outdoor area in just under a month with a retractable awning. Imagine how gorgeous it is going to be getting to enjoy the sunshine days, without the heat! Enjoy the Southern California sunshine and cool breeze with the sliding glass doors wide open. Retractable screens are one of the best window treatments ideas for doors. Not too bad for wanting screens to block debris and getting your wish in about a month. When ordering anything, sometimes you run into unexpected delays. From workers going on strike to natural disasters, we’ve seen it all and delays can happen that are out of yours and our control…but not all! No one ever hopes these events happen, but we try our best to plan for them. We try our best to leave extra time for shipping, which often results in the order arriving before we promised. The size of your project, adding motorization, and the amount of customization you request may result in longer installation times. Now don’t give up on your dream window coverings, just know that custom craftsmanship takes a bit more time. If you learned one thing in this blog post, we hope it is to plan ahead to ensure you meet your timeline! 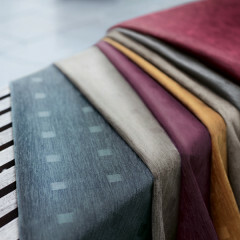 Want A Shorter Installation Time For Custom Window Treatments? At 3 Blind Mice Window Coverings Inc., we are delighted to show you how our extensive line of window treatments can enhance and beautify your home.